Sandpiper Energy serves the Worcester County area located on the Eastern Shore of Maryland. 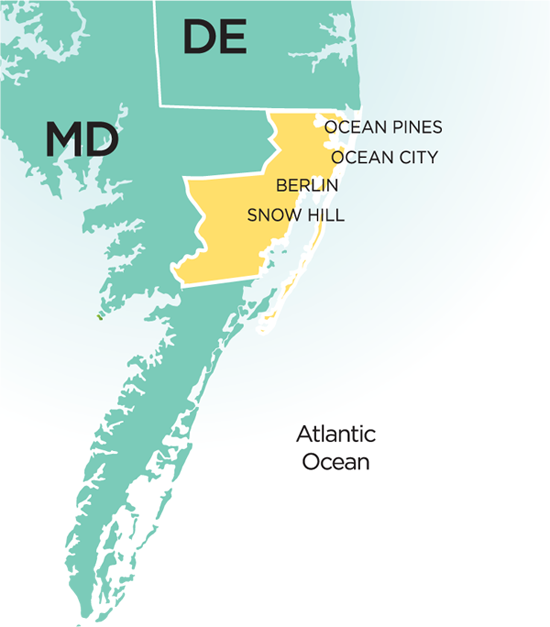 Our service area includes Ocean City, West Ocean City, Pocomoke, Ocean Pines, Berlin and Snow Hill. © 2019 Sandpiper Energy. All rights reserved.